CANNABIS INSURANCE - The Rough Notes Company Inc. So says Matthew Porter, vice president of Brown & Brown Insurance Services of California, regarding the surge of investor interest in the production and distribution of cannabis and products derived from cannabis. “A lot of people are pouring a lot of money into cannabis,” he says. “It’s a whole new industry, and it offers the opportunity to be at the forefront, to be a pioneer.” That applies to insurance for commercial cannabis operations as well, he adds. As of December 2018, Marijuana Business Daily, a web portal devoted to the cannabis industry, listed more than 60 insurance organizations offering property or liability coverage for cannabis operations wherever legal in the United States, with many others operating within individual states. The growth of a cannabis insurance industry comes in the wake of marijuana legalization across North America. In October 2018, recreational use of cannabis became legal throughout Canada. A month later, legal sales of recreational marijuana began in Massachusetts. Today, at least nine states permit non-medicinal use of cannabis. In the November 2018 elections, voters approved marijuana legalization in Michigan and relaxed restrictions on marijuana in several Ohio and Wisconsin municipalities. Voters in Missouri and Utah added those two states to the 27 that allow for medicinal use of cannabis, while voters in North Dakota rejected a referendum to legalize recreational marijuana use. To date, U.S. federal law still categorizes cannabis as a “Schedule 1” controlled substance that is illegal to possess or use without special authorization. That puts marijuana in legal limbo and acts as a drag on investment, but Arcview, a research firm serving cannabis investors, projects the U.S. market for cannabis will double, to $23 billion in revenue, by 2020. There are several measures in Congress for relaxing federal restrictions on marijuana, and President Donald J. Trump has indicated at least tentative support for one of them. Porter believes the pace of state legalization and the prospect of a new source of excise tax revenue will lead to federal action. All bets are not sure bets, however. Until its legal status is fully clarified and a market for recreational marijuana is allowed to mature, we won’t know whether the market for cannabis coverage will be at all comparable to that for alcohol and tobacco. As it is, Arcview’s projection of a $23 billion cannabis market would be only 10% of the estimated $233 billion Americans currently spend on alcohol, and less than 30% of what Americans currently spend on cigarettes. Moreover, individuals seem to lose their desire for cannabis as they age, at least while the substance remains illegal under federal law. A survey by the federal Substance Abuse and Mental Health Services Administration found that, in 2015, while 46% of survey respondents aged 26 or older reported using marijuana at least once in their lifetime, only 10.4% had in the past year, and 6.5% in the past month. In contrast, 69.9% indicated they had used tobacco in their lifetime, with 25.8% and 24.5% reporting use in the past year and month, respectively. The percentages were even more pronounced for alcohol use: 87.1% reported some use in their lifetime, 69.2% in the past year, and 55.6% in the past month. According to Porter, most of the emerging property policies for cannabis operations cover losses to marijuana products caused by standard property perils and perhaps some spoilage perils, but few of them cover loss to growing plants by crop perils. “A cannabis grower can lose an entire harvest to powdery mildew,” Porter notes, “but most insurers won’t insure growing plants.” Brown & Brown, which provides access to crop coverage, recently settled a cannabis crop claim in excess of $5 million. In addition to the crop exposure (for growers), marijuana risks stand apart from other enterprises in that they have an exposure similar to that of alcohol vendors for damage and injury caused by individuals impaired by the use of their product. Given that, Porter anticipates that recreational marijuana will be marketed through stand-alone cannabis vendors “for the foreseeable future,” and that it may be many years before one sees cannabis and alcohol marketed together, or cannabis products stocked in general retail outlets. As an indication of the current profile of the marijuana market, Colorado-based Cannabis Insurance Company identifies six types of cannabis business risks: cultivators, laboratories, buildings, manufacturers (of derivative products), dispensaries, and transport-delivery operations. 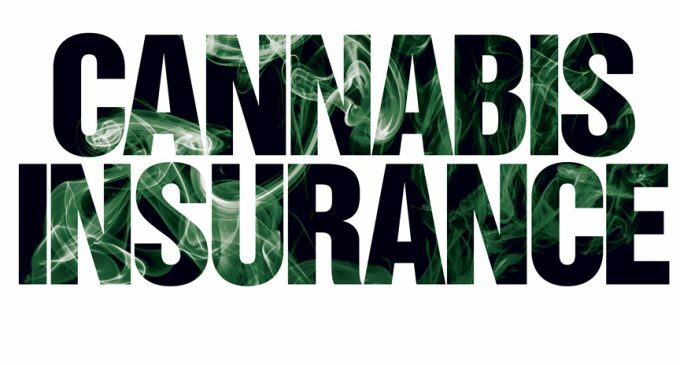 Like other carriers and intermediaries serving the market, Cannabis Insurance offers a range of property and liability coverages customized for cannabis operations. Given the short history of the market, Porter says that uncertainty about claims severity is driving rates beyond what many cannabis startups can afford, leaving them with coverage that is far less comprehensive than they hoped to have. As one example, he cites an operation with $30 million in annual sales that was quoted $240,000 for product liability insurance; it declined and opted to retain the risk. So far, at least, product leaders for Burns & Wilcox have found claims for cannabis operations to be in line with those for other types of businesses. Like Brown & Brown, Burns & Wilcox provides coverage on a “seed to sale” basis for a wide range of cannabis operations. “We are optimistic this trend will encourage other carriers to step into the cannabis space,” says Jason Sawin, excess and surplus lines property broker for Burns & Wilcox Brokerage. For the time being, the carriers most likely to step into the marijuana insurance business will be surplus lines markets, as a fledgling cannabis market operating in a legal patchwork holds little attraction for more heavily regulated admitted carriers. To promote participation by admitted carriers in the marijuana market, the California insurance department in 2017 invited property/casualty organizations to submit filings of policy forms and manual rating information for insuring cannabis operations on an admitted basis. In response, the American Association of Insurance Services (AAIS), a not-for-profit advisory organization based in suburban Chicago and operating nationwide, filed a Cannabis Businessowners Policy (or “CannaBOP”) program of forms, rules, and loss costs designed especially for legal cannabis enterprises. Limitation of the coverage territory to California. “Cannabis risk can vary drastically from carrier to carrier, depending on the products and services of its insureds,“ says Robert Guevara, AAIS vice president of inland marine and commercial lines. “For property, there is heightened exposure to total loss by fire, explosion, infestation, and spoilage, as well as exposure to breakdown of specialized equipment used in cannabis extraction and when manufacturing edibles. To date, there are no carriers writing the CannaBOP, but AAIS has received numerous inquiries about it, says Guevara. The organization plans to file the program in Colorado early in 2019, and to follow that with filings in Massachusetts, Michigan, Nevada, and New Jersey. Although it was developed as a filed program for admitted insurers, surplus lines carriers and MGAs can also use it as the basis for a commercial lines marijuana program. 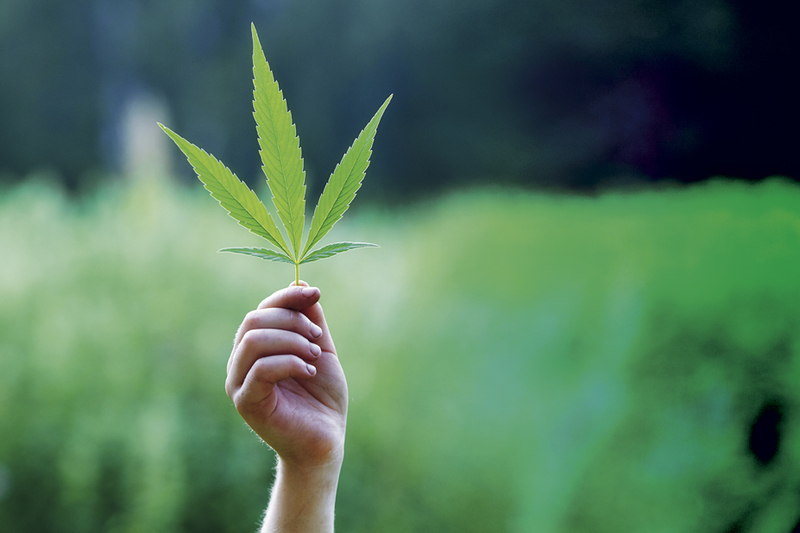 “The cannabis insurance market is growing in terms of the number of companies and brokers competing for business, as well as capacity and complexity of risks that insurers are willing to take on,” says Deneen. “The market will continue to grow as the country heads towards common acceptance of cannabis, which is not entirely dependent on federal legalization.